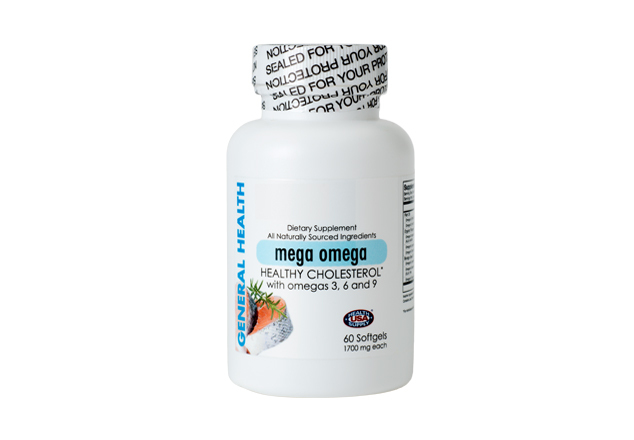 Mega Omega 3, 6 & 9 is an essential oil formula providing the Omega-3,6,9 essential fatty acids EPA and DHA, which facilitate a wide range of cell functions and have diverse benefits to health and well-being. 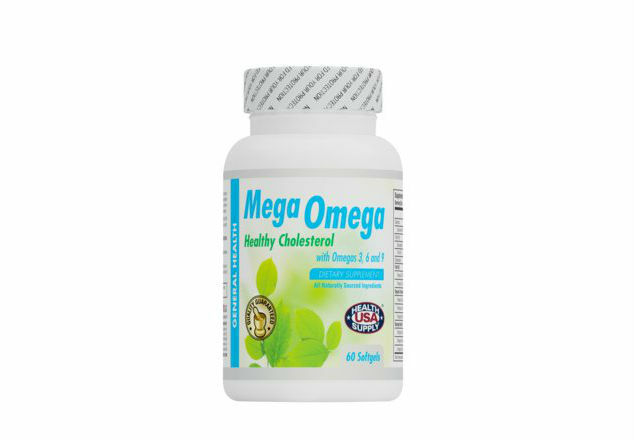 Mega Omega is used to promote skin integrity, protects blood vessels, and supports brain and vision functions. The omega-3,6,9 fatty acids help maintain cholesterol levels which are within normal range. Contains a blend of essential Omega oils 3, 6, and 9, which have been shown to have a beneficial effect on cholesterol and triglyceride levels.